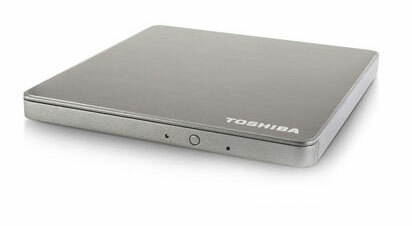 Stylishly slim at 14.4mm, Toshiba USB3.0 Portable SuperMulti Drive makes it easy to slip into the tinest space available in the bag. 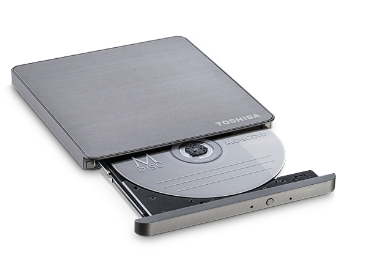 Lightweight at 240g, it offers full portability to burn and play CDs and DVDs anywhere. The optical disk drive is BUS powered, so you do not need to find a power socket just to run this device. 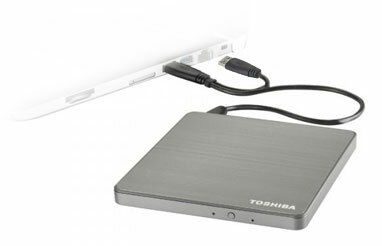 *Windows® tablets must have a full-size USB port and may need additional power to operate this product. Connect the included USB Y-cable “power” cable into a powered USB hub or an AC adapter with a USB port.